Japanese teas include Genmaicha, a flavourful blend of sencha and toasted brown rice traditionally drunk by the workers on the tea plantations; Gyokuro and Houjicha are other green teas and of course the famous matcha tea. 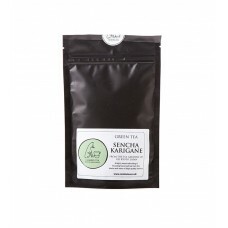 Green teas are so named as the natural oxidisation process is halted by heating the leaves at harvest so the leaves stay green and when brewed correctly are free of bitterness. 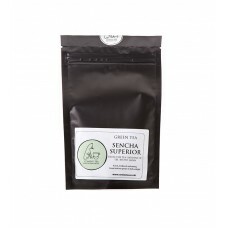 All green teas contain Catechin (or Tannin) this is a bioflavonoid that has both anti-viral and antioxidant effects. Catechin and the vitamin C found in green tea can contribute to lower cholesterol by clearing veins and arteries and has been shown to be an effective prevention against influenza. Shiso tea is made from the dried or fresh leaf of the shiso plant. Shiso leaves can be green, red / purple or a combination of these colours. Red shiso will produce blue and once brewed for longer, purple tea. Green tea of the finest grade. The perfect introduction to Japanese tea with a mild, varied flavour ..
Leaves are steamed, then pan roasted for a distinct, nutty flavour. Popular with tea farmers who use..
Matcha green tea is a finely milled tea, which is whisked to a froth when served. Rich, energising a.. Tea made using only the stems and veins of leaves harvested during the first flush of Spring when ar..
Rich tea with a mellow flavour delicately balanced for sweetness and bitterness. Harvested in the fi..